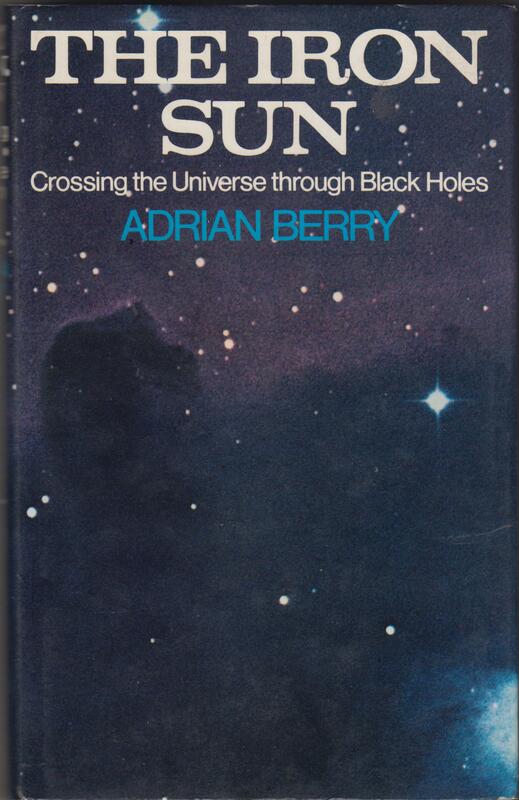 In my last article, I discussed the forthcoming edition of the Beeb’s long-running space and astronomy programme, the Sky at Night, on the history of Britain in space. The programme will be presented by Tim Peake, and the blurb about it this week’s Radio Times looks forward to the opening of Britain’s first spaceport in Scotland within the next few years. The Radio Times doesn’t mention it, but recent newspaper articles have stated that such a spaceport will be built sometime in the very near future for launching the Skylon spaceplane. This is an unmanned vehicle, which has been developed as the successor to the 1980s HOTOL spaceplane. SKYLON is a single stage to orbit (SSTO) winged spaceplane designed to give routine low cost access to space. At a gross takeoff weight of 275 tonnes of which 2202 tonnes is propellant the vehicle is capable of placing 12 tonnes into an equatorial low Earth orbit. The vehicle configuration consists of a slender fuselage containing the propellant tankage and payload bay with delta wings located midway along the fuselage carrying the SABRE engines in axisymmetric nacelles on the wingtips. The vehicle takes off and lands horizontally on its own undercarriage. The fuselage is constructed as a multilayer structure consisting of aeroshell, insulation, structure and tankage. SKYLON employs extant or near term materials technology in order to minimize development cost and risk. The SABRE engines have a dual mode capability. In rocket mode the engine operates as a closed cycle liquid oxygen/liquid hydrogen high specific impulse rocket engine. In airbreathing mode (from takeoff to Mach 5) the liquid oxygen flow is replaced by atmospheric air, increasing the installed specific impulse 3-6 fold. The airflow is drawn into the engine via a 2 shock axisymmetric intake and cooled to cryogenic temperatures prior to compression. The hydrogen fuel flow acts as a heat sink for the closed cycle helium loop before entering the main combustion chamber. (p. 22). 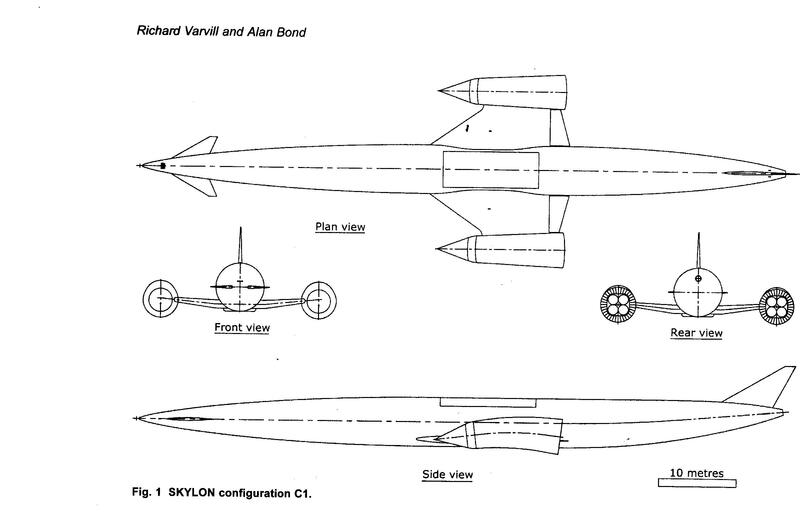 Schematic of the SKYLON spaceplane in the above article. I’m delighted that the spaceplane is now set to enter service and look forward to the opening of the new spaceport in Scotland. Now for something a little more optimistic. Don’t worry – I’ll get back to bashing the Tories and their vile policies shortly. Looking through a few back copies of Journal of the British Interplanetary Society, I found a paper by a Japanese physicist, Yoshinari Minami, ‘Travelling to the Stars: Possibilities Given by a Spacetime Featuring Imaginary Time’ in JBIS vol. 56, no. 5/6, May/June 2003, pp. 205-211. The possibility of Faster Than Light travel is taken seriously by a number of physicists, engineers and space scientists, and a number of papers on the possibility of using warp drive or other advanced systems to travel to the stars have been published since Marcel Alcubierre published his paper showing that warp drive was possible, if only in theory, in the 1990s. Incidentally, one of Alcubierre’s names using the Spanish system was ‘Moya’, which was also the name of the living space ship in the SF TV series, Farscape. In the article, Minami discusses the physics of hyperspace, using some seriously difficult maths to prove that it is in theory possible to travel to the Pleiades, otherwise known as the Seven Sisters, a star cluster 410 light years away in 1.3 Earth years. Without some form of FTL drive a round trip to the Pleiades in a spacecraft travelling at 0.99999 per cent of the speed of light would take 820 years, although due to time dilation the crew would only experience the journey as 3.6 years long. Minami acknowledges that imaginary time is a difficult concept, and gives some examples of how contemporary scientists are nevertheless incorporating it into their theories and experiments. For example, Stephen Hawking has used imaginary time as part of his attempt to unite relativity and quantum physics. In real time, the universe has a beginning and an end in singularities in which current physics breaks down. However, no such boundaries exist in imaginary time, and so imaginary time may be far more basic as a fundamental property of the cosmos. He also discusses the way quantum tunnelling is utilised in a number of electronics components. These are the tunnel diode, the tunnel transistor, the tunnel diode charge transformer logic and other devices. Quantum tunnelling is the phenomenon in which a sub-atomic particle can travel slightly faster than light if it has imaginary momentum. This is seriously mind-blowing stuff. I can remember the excitement back in the 1990s or perhaps the early part of this century, when a team of physicists showed it was possible to use quantum tunnelling to send information slightly faster than the speed of light, something which was previously thought impossible. For SF fans, this raises the possibility that one day Faster Than Light communication devices – the ansibles of Ursula le Guin and the Dirac Telephone of James Blish, could become a reality. The paper then discusses the possibility of using wormholes or cosmological theories, which posit that the universe has extra dimensions, such as Kaluza-Klein Theory, Supergravity, Superstrings, M theory and D-brane theory to enter hyperspace. Minami states that one form of wormhole – the Euclidean – is considered to include imaginary time in their topology. However, using such a wormhole would be extremely difficult, as they’re smaller than an attempt, suffer fluctuations and the destination and way back is ultimately unknown. He therefore does not make any detailed suggestion how a future spacecraft could enter hyperspace. But if a spaceship was able to enter hyperspace after accelerating to with a infinitesimal fraction of the speed of light, a flight which lasted for 100 hours in hyperspace would appear to last only 70 hours to an observer on Earth. He then considers a mission in which a spaceship leaves Earth at a tenth or a fifth the speed of light. After escaping from the solar system, the ship then accelerates to near-light speed. Such a spacecraft would be able to reach the Pleiades in 1.8 years ship time, which 1.3 years have passed to the scientists waiting back on Earth. This method of transport would not violate the causality principle, and could be used at all times and everywhere back in real space. 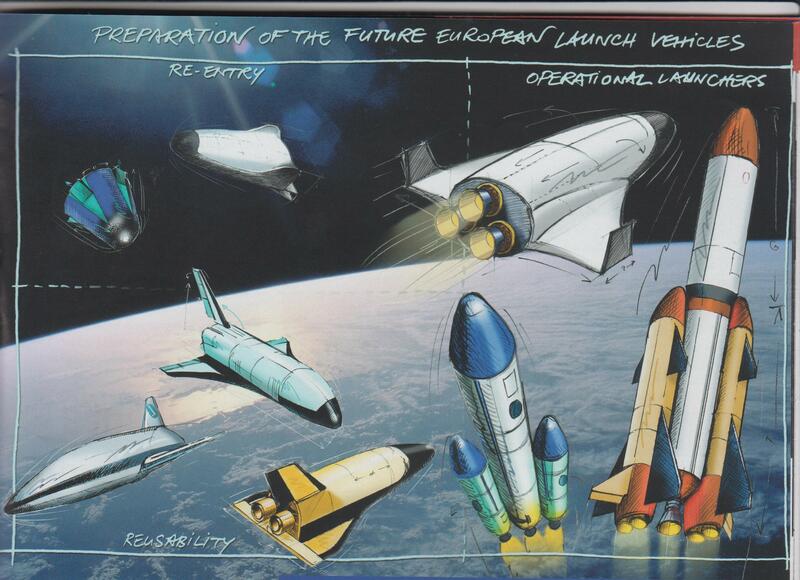 Artist sketch of several concepts considered under ESA’s Future Launcher Preparatory Programme (FLPP). 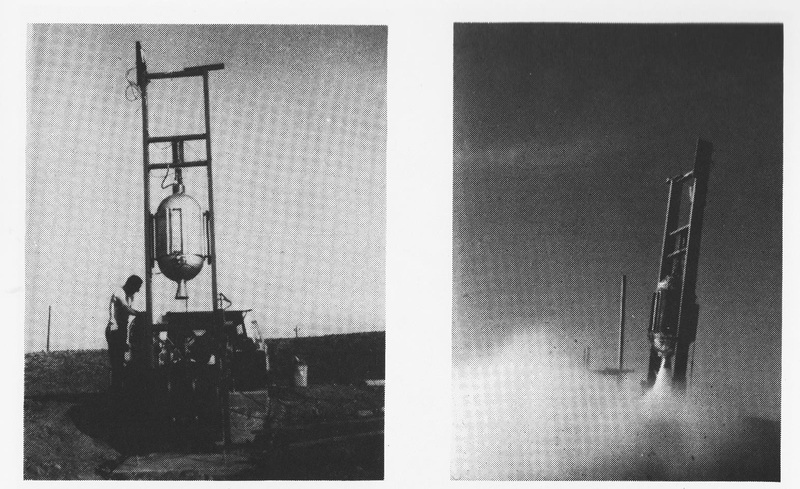 On top left are the European eXPEriment Re-entry Testbed (EXPERT) capsule and the Intermediate Experiment Vehicle (IVX), a hypersonic re-entry demonstrator. Below are the Phoenix suborbital reusable demonstrator and two concepts advanced reusability demonstrators. On the right are concepts for future operational launch systems – a fully reusable winged shuttle, a fully expendable launcher and partly reusable launch vehicle. Maintaining a guaranteed access to space for Europe is one of ESA’s strategic missions. In order to prepare the future European launch systems, which might replace the current Ariane launchers when they will have to retire, ESA and European space industry are reviewing multiple concepts to ensure the continuity of European space transportation while reducing the cost of putting payloads into orbit. In 2001 it was proposed the ESA Council should set up a programme to assess concepts for future European launchers. The result was the decision to set up the FLPP. 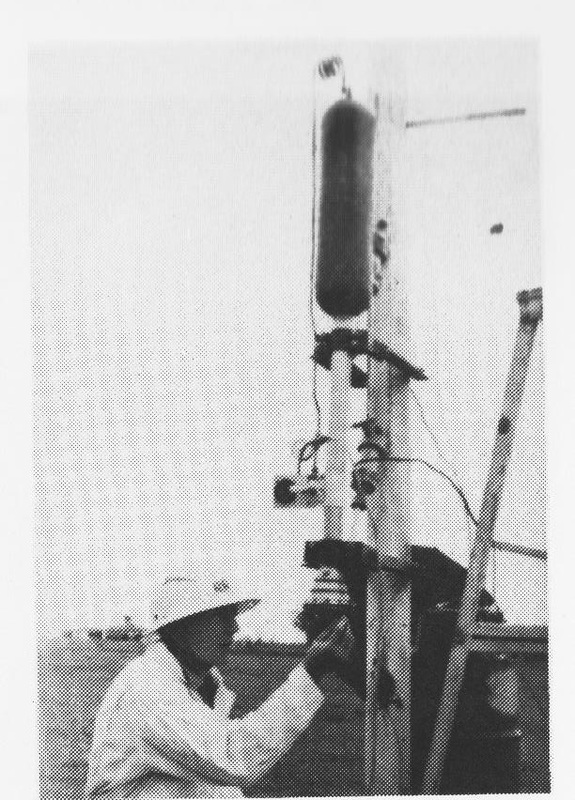 This programme, kicked off in 2004, covers the further development of expendable launchers as well as the identification and assessment of technologies required to design partly or fully reusable launch systems. I’m afraid I don’t know what, if anything, was decided about these spacecraft. For all I know some or all of them may still be under consideration. If Skylon does become a reality and begins flights from a British spaceport in 2020, I think it’ll probably stimulate interest in competing spaceplanes from the other European nations, such as the Hermes spaceplane in France and the Saenger craft in Germany.